A 360º view of the 979SS Iron Clubhead. Thanks very much for taking your time to both own a set made with one of our models and to contact us for information. We are always happy to help !! As a new golfer, you are learning the game and you are working hard to learn the proper swing movements that will make you a better player. We wish you the very best in this adventure as you work hard to get better ! The 979SS is an iron design that is very much a good model for a beginning golfer or a golfer with less experience to use. The 979SS has a wider sole than most irons. A wider sole will lower the center of gravity of the heads which is a small way to help the golfer get the ball up in the air to fly and carry. 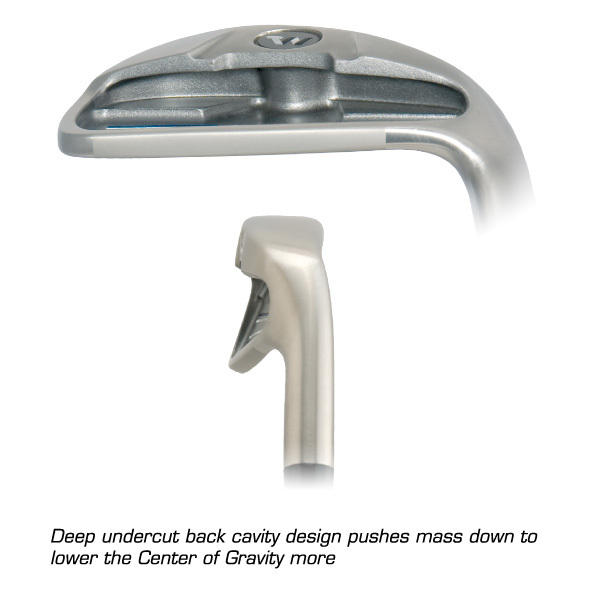 The 979 is also an iron that is made with a deep cavity on the back of the head. This is done to put more weight AROUND the perimeter of the clubhead. When you put more weight around the perimeter of the head, you will increase the Moment of Inertia of the head. And when you increase the MOI of a clubhead, it makes the head so when you do hit a shot off center, there is not quite as much loss of distance compared to a head with a lower MOI in its design. So all in all, the head you have chosen is a good clubhead model for your level of ability in the game right now. The important thing now is to work very hard to find a GOOD swing coach who can help you and encourage you to learn the swing fundamentals and practice them so you can continue to improve and make your handicap lower ! Good luck to you in this great game !! I will keep you update on my improvements. In any case yout irons work wery well. I,m using Calloway woods ( used ) with stiff shafts. When do you think that to be the right time to change my clubset ? I am pleased to hear that your first year of golf has been successful enough that you are enjoying the game. Please understand that it is really not possible for me to offer a recommendation for what clubs you should play with at this time without me knowing a lot more about your game, how you play, your clubhead speed, your accuracy tendencies, what your bad shots look like and what you feel that you do well in the game so far and where you feel you need the most improvement. Any information I might offer from what you have told me in your comment is just not going to be as helpful as it could be if I know a lot more about your game at the current point. 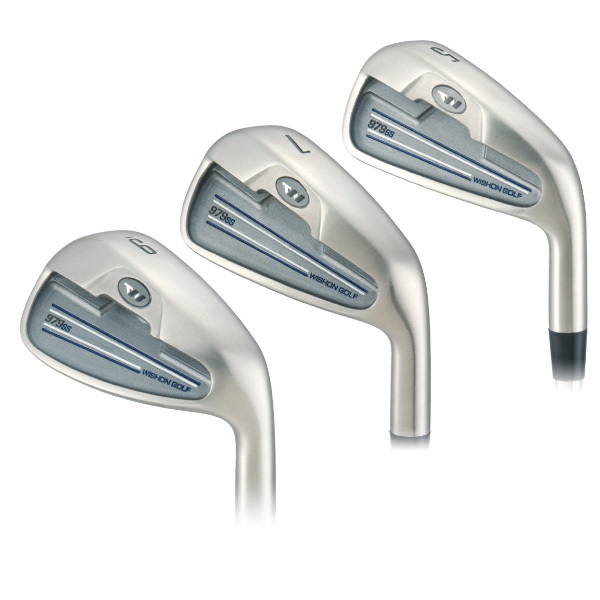 Will you be making an AW in your 979ss irons for left handlers in the near future? I love these irons and I wish I had an AW to complete my set. Wish I could give you happy news, but it is not likely that we’ll be making the tooling to produce an AW for the 979SS set of irons. Sadly at times one just has to look at the demand side of a club model to see if the door is open to additions or changes in the model. The 979 sits 5th on the list of iron sales demand for the company so that is the telling fact that prevents thought about additions to the model. Hate to say that, because with clubhead design I wish it were just about playing and fun, but shoot, business does get in the way sometimes !! Thanks for your reply. Is there an AW available on any of your irons for a left hander? Only in the Sterling single length left hand model is there an actual AW as part of the set. 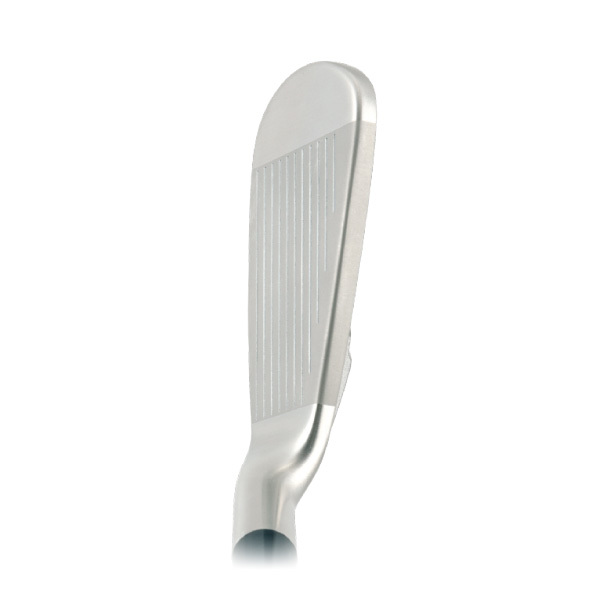 We do have a left hand gap wedge in the PCF Micro Tour wedge family which is a standalone wedge model in our design line. I am sorry about that, this is just one of those distasteful things that I as a designer have to accept in terms of the business side of what I do. With left hand golfers being only 8% of the total market, that affects what I can and cannot do in terms of the set makeups for doing a left hand version of a model. Unfortunately AW’s are ordered in far less quantity overall in iron sets and when you pare that down to the much smaller percentage of left hand demand, it just means the cost of the tooling dies and inventory minimums don’t add up for an AW as part of a left hand set. I am the happy owner of a 979SS set for 2 years, and I am now 13 Hcp. I am 44 and pretty strong, do you see any need to change for the 565 or maybe 771? Yes, Christmas is coming and if we put a “Saint” in front of your name, you could be one of the jolly old man’s helpers from which he might bestow a set of new irons upon you !! HA ! OK – if you ever are at a point with your iron game in which you want or need more distance without having to lower the loft angles, then that would be a reason to look at the 771’s. Their high COR face most certainly would make them about 3/4 to a full club longer per number than the 979’s. And the variable thickness face of the 771’s is the best off center hit forgiveness performance of any iron in our design line. The 565’s are an iron that if you love forgings, and if you know you do not need or want more distance with the irons than what you are getting now, but you realize as a 13 you need to have good off center hit forgiveness, then that is a reason to think of the 565’s. That’s the scoop on it and thanks SO MUCH for your interest and continued support of what we do ! Happy Holidays to you ! Ho ho ho, but no, I am not Santa!